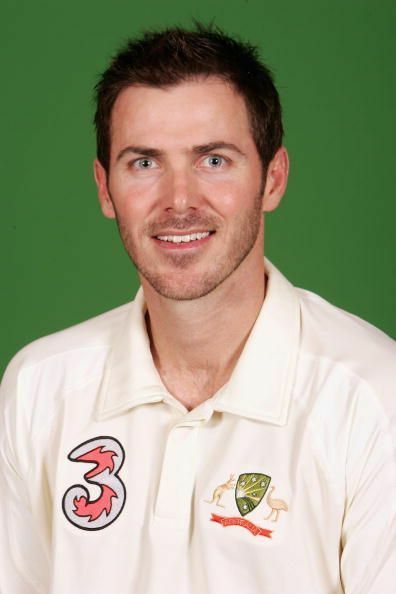 Damien Richard Martyn is a former Australian cricketer, born on 21st October 1971. Hailing from the Australian city of Darwin, Martyn is a right-handed middle-order batsman with a classical technique contributed immensely towards a golden era of Australian cricket. Martyn is well known for his stroke-making square of the wicket on the off-side and through the covers. Martyn’s family shifted to Perth when he was three years old. He began his cricket training at Girrawheen Senior High School. In 1990, he started training at the Australian Cricket Academy in Adelaide. At the age of 23, Martyn was made the captain of Western Australia cricket team. Martyn made his Test debut in 1992 when the Australians were playing against West Indies at the Gabba in Brisbane. He also became the part of the ODI squad. He did not get a chance to regularly serve his team and his performance was credible on the field. After a shaky beginning to his his career, Martyn bounced back. In 2001, he scored his maiden Test century in the first Ashes test at Edgbaston, after replacing Justin Langer. He was awarded the Wisden Cricketer of the Year in 2001. In 2004, he posted two centuries which aided Australia to a 3–0 series in Sri Lanka. He also became the man of the series in India when Australia won a Test series on Indian soil for the first time in 30 years. In 2005, he was presented with the McGilvray Medal as the ABC's Test Cricketer of the Year and also declared as the Test Player of the Year in 2005 with the Allan Border Medal. The time period of the late 1990s was hard for Martyn as he encountered numerous setbacks. Martyn was dropped from the National team in 1992 due to his poor performance in the past. Martyn served Western Australia for 15 years and also led the team. Also, he played for Leicestershire and Yorkshire in English county cricket. From 1999-2006, he won ten Man of the Match awards in ODI cricket. In the ICC Champions Trophy in 2006, Martyn won the consecutive man of the match awards against England and India. He played an unbeaten innings in the final against the West Indies to help Australia win the tournament for the first time. He was Australia's top-most run-scorer in the tournament. On 8 December 2006, Martyn retired from all domestic and international cricket and he said: "I would like to advise of my retirement from cricket, effective from today. I do so with a deep awareness of the opportunities that the game and Cricket Australia have provided for me."